Start Dates: Project is on-going, and you can join at any time, depending upon availability. Cost: $200 Placement Fee, and you will also need to cover your travel & living costs. 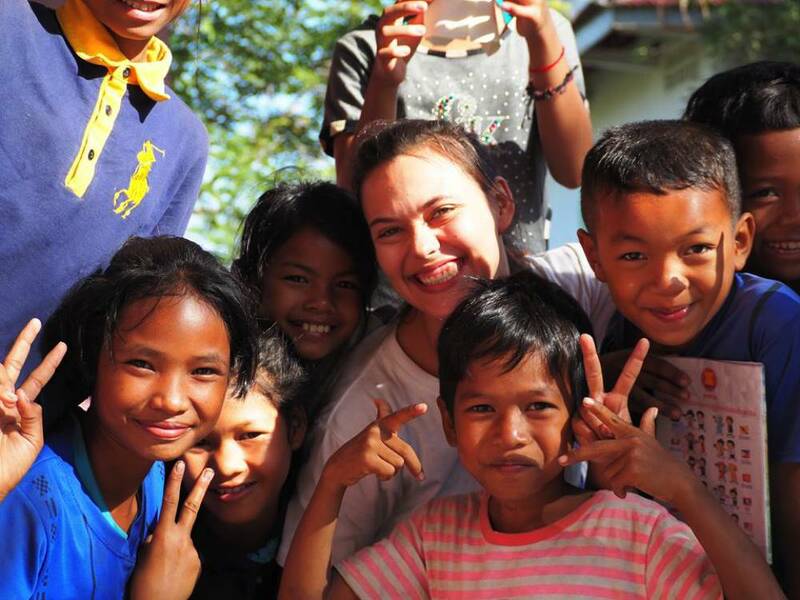 Gain hands-on work experience working with a Cambodian NGO in a World Heritage town. Even though Cambodia is home to one of the fastest growing economies in Asia, the country is still reeling from the effects of the Khmer Rouge genocide in the mid-70s and subsequent wars and political unrest. The country suffers heavily from widespread corruption, and in many areas crippling poverty. Especially in rural areas, families are struggling to feed their children, let alone provide them with a proper education and thus break the circle of poverty. Despite their many hardships however, the Cambodian people are widely regarded as very welcoming, kind, generous and hardworking. As an effect of the Khmer Rouge genocide, it is also a very young population, with the new generation working hard to create better futures for themselves and their families. It is also growing strongly as a tourist destination with hundreds of people flocking each year to witness the awe-inspiring temples of Angkor Wat, the sprawling metropolis of the capital Phnom Penh and the sun-drenched beaches of the coast and remote islands. This internship will place you with an NGO, which started out in 2007 and subsequently registered as a charity in 2009. 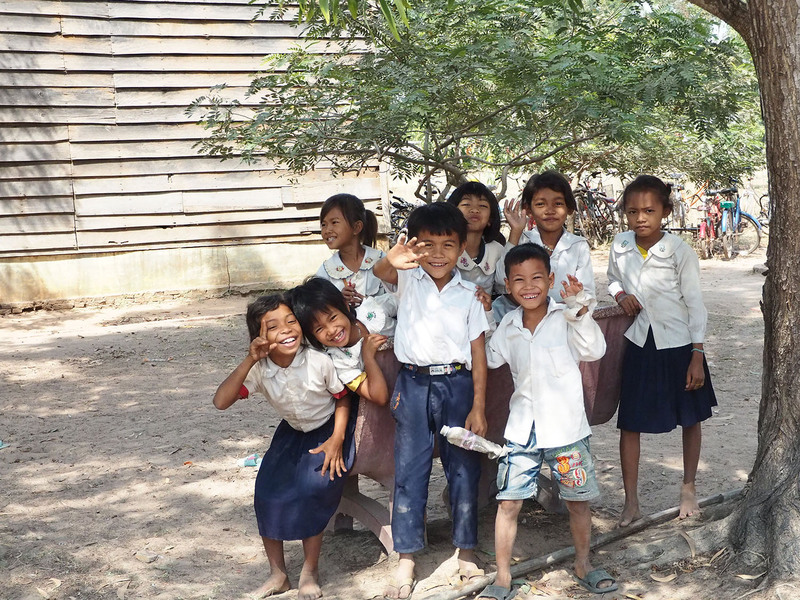 The main aim and mission of the NGO is to improve living conditions in rural villages surrounding the cultural hotspot of Siem Reap through the implementation of three core programs. These consist of Health & Well-Being, Education, and Nutrition. Since its inception, the NGO has spearheaded a multitude of programs and initiatives including over 1,145 water wells, 300 latrines, 3 libraries, 2 school kitchens and sponsoring the education of 1,100 children at three local schools, including daily breakfasts. While the NGO’s reach has been extensive, it is still relatively small with an emphasis on quality employees over quantity. Like our local staff, our volunteers and interns preferably have working (or volunteering) experience in areas such as teaching, human resources, sports education, communications, graphic/web design, reporting, and WASH. Having a small staff means volunteers and interns will be expected to hit the ground running. The work is rewarding nonetheless, and once you find how you fit into daily operations you can explore the bigger picture of the requirements, risks, and rewards of managing an NGO alongside our permanent staff. As part of the NGO team, you will be working as an assistant to the Executive Director as well as working with the various program coordinators. As the work of the NGO is multifaceted and varied, you will need to demonstrate excellent organizational skills as well as strong computer skills. This position is designed to be of mutual learning for both you and the Cambodian staff you will be working with, as you strive to meet the challenges and successes of running a dynamic NGO. 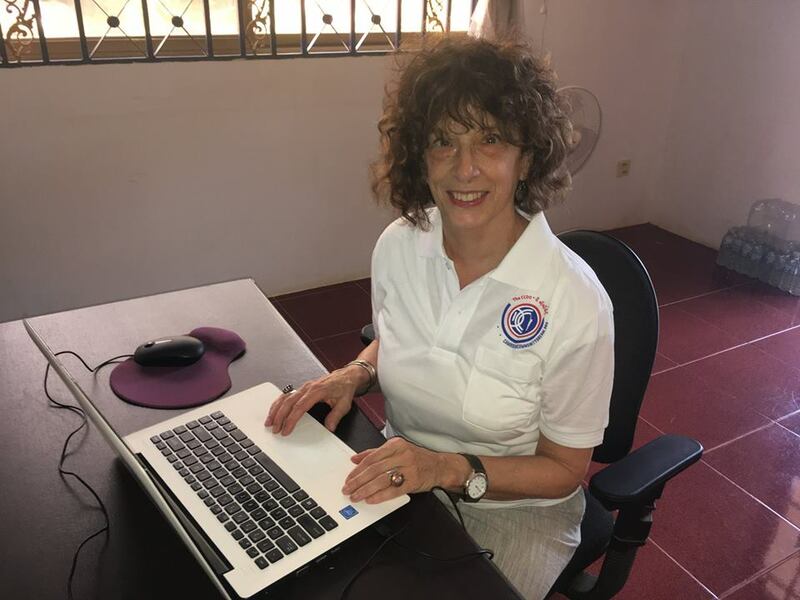 Your assistance is needed with many administrative tasks, especially those calling for solid office skills, such as creating spreadsheets, preparing and giving Power Point presentations, effective email writing and data analysis. You will also help generate accurate and timely reports to follow up on progress within the various programs. You will be based out of the NGO offices in Siem Reap, where you will work together with other members of the team. Occasionally, you may be required to visit the local rural communities and schools, where conditions are very simple. It is important to remember you are working with a very dynamic and wide-reaching NGO with many daily operations, both large and small. As such, you are encouraged to work together with the Executive Director to brainstorm possible initiatives and solutions in a supportive and co-operative capacity. This role calls for a high measure of self-direction, motivation as well as a good dose of humility and respect. You can find a list of the needed tasks we need help with on the next section. IMPORTANT NOTE: volunteers/interns should carefully read the following job descriptions and find a fit between their experience and expectations and the needs in the field. Once here, their initial role may get expanded and they may end up with a much bigger role. Our organization employs numerous local Cambodian English teachers for our schools. They are reliable professionals and teach children between pre-school to nine grade as well as computer classes. While we are reducing our footprint of volunteer teachers in favor of local teachers, Education Professionals and Teachers will primarily act as technical assistant for the local staff. You will hold workshops, review lesson plans for the English teachers, and develop methods to improve instructional performance and effectiveness. We prefer individuals interested in this position to work between October and July for the best possible impact with the teachers and the students. Previous experience in teaching small children to 13-year-olds or relevant education background required. This is a versatile position ensuring the message, progress, and impact of the NGO reaches donors and audiences through social media, video editing, advertising, and graphic design. The Comms officer ideally has a working proficiency with design software (Photoshop, Illustrator, etc.) to create advertisements and brochures capturing the scope of our mission and accomplishments to attract new donors. This position is in demand year-round if available. This position works directly with the physical education faculty and the students at each of our schools. 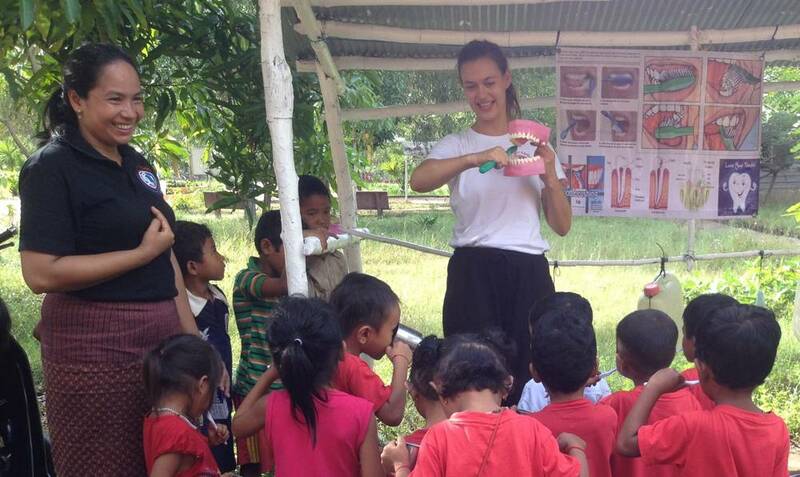 Teach students new sports, team building activities, and fitness programs alongside our Cambodian staff. You will be teaching one another as much as you will be teaching the schoolchildren. Previous experience working with and instructing small children is essential. The ideal volunteering time for this position would be between late October through July. This position develops and updates all progress and evaluation reports on ongoing projects, efforts, and campaigns. Collating data of local capabilities and demographics for the organization and using it to produce accurate and consistent reports for the specific coordinators involved and the NGO board to execute new projects effectively. Requires proficiency in Excel. This is a year-round position. 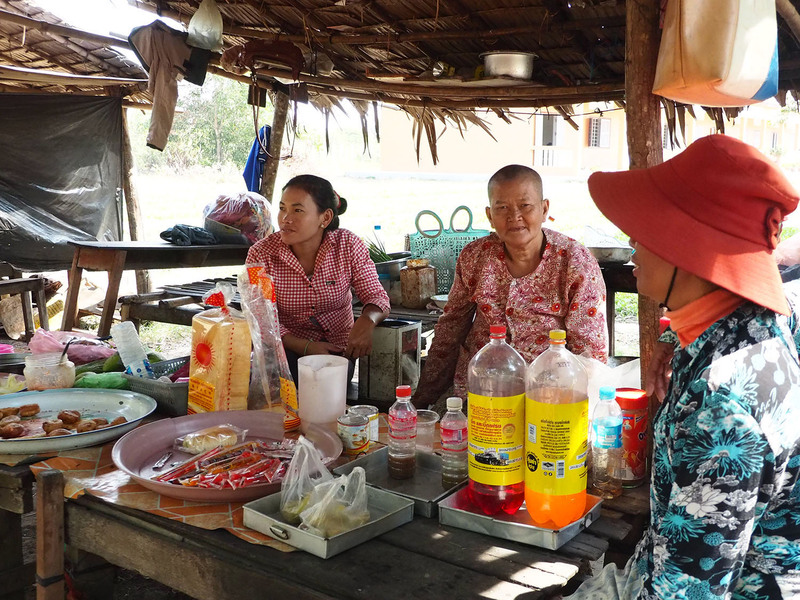 The volunteer H&WB Officer will assist the CCDO H&WB Coordinator with assessments, development, planning, managing, supervision and implementation of new H&WB projects such as wells, latrines, and taps in the greater Siem Reap area. Work will likely require the ability to safely ride a motorbike to rural locations over degraded roads. Prior working/volunteering experience in WASH (water, sanitation, and hygiene) fields or academic certification is required. This position is primarily active between October and July. Fundraising and grant writing is an essential piece to ensuring an NGO like the CCDO can continue to benefit the community. The Fundraising/Grant Officer will assist in developing a comprehensive fundraising plan, develop tracking information for prospects, prepare in depth prospect research, create templates for and draft grant applications, and draft fundraising letters. The F/GO will also develop methods for attracting new individual and corporate donors. This position requires a motivated and organized volunteer with familiarity or previous experience in fundraising or grant-writing. This position is available year-round when available. Period 1: October to December. Period 2: January to March. Period 3: May to July. You will be given detailed instructions on how to get to the project location, there are many options depending on budget and other travel plans. We will work with you to tailor a travel plan suited for your needs. Accommodation and food is not included, however you will be given assistance in finding accommodation according to your own budget and preferences. Siem Reap has an abundance of both guesthouses and restaurants, catering for all tastes. You will need to cover the cost of your own transportation to the various school sites when necessary. Minimum 4-year college degree, – current students, mature applicants and retirees welcomed. Relevant academic background or previous work experience. Excellent organizational skills with strong working and personal ethics. Good spoken English language skills. This entire compound is a feast for the eyes. The stunning architecture replicates the Buddhist temples you’ll see all around Asia. With glimmering golden towers contrasting white walls and expansive courtyards and walkways, you are sure to be in awe. Here you will get a full understanding of the grandeur of the royal Cambodian ancestors. $200 USD placement fee (split $100 to the project + $100 for Global Nomadic), and you will also need to cover your travel & living costs. Notice: Deposits will not be refunded except in the case of extenuating circumstances such as medical condition making you unable to participate in the internship or other such emergencies. If you must reschedule your internship window for a later date, the CCDO will consider your deposit paid. Flights, visas, vaccinations, insurance, accommodation and food are not included. Full assistance will be provided in getting all these arranged if you choose our Premium Support. You should budget approximately $200-300 USD per month for accommodation and approximately $10 per day for food.